Hopefully, after Douglas E. Oliver, DDS completes your periodic cleaning, X-rays, and examination, we will deliver to you a clean bill of health and you won’t need any further treatment. We can send you on your merry way with a new tooth brush, tooth paste and some dental floss and see you again in six months! If you have any additional questions after you leave, you can always give us a call. 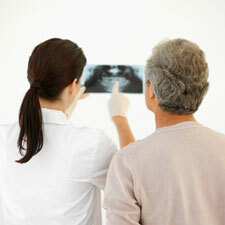 At Douglas E. Oliver, DDS, we’re only too happy to assist you.